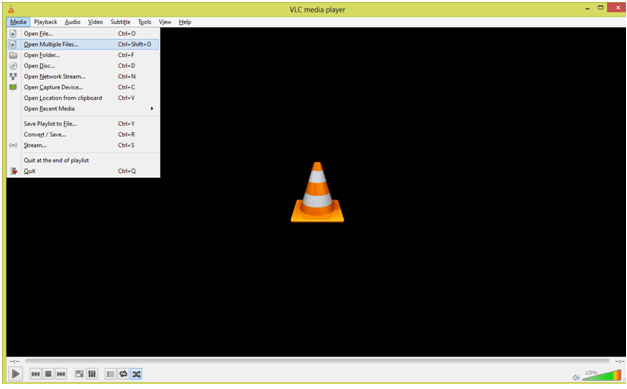 Like most people, you may like using VLC as your media player, for the free player can play various audio & video formats, as well as DVDs etc. And as a VLC lover, you may probably store lots of movies in the VLC library. Well, want to convert these VLC videos or movies to MP4 format for playback on your smart mobile phone or most other portable devices like PSP etc.? 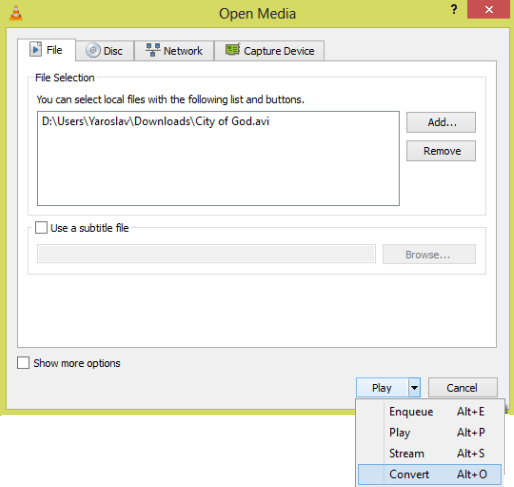 If so, you can learn how to convert VLC videos to MP4 videos quickly and easily in this article. Step 1 Import Video to VLC. First of all, we need to open our VLC Media Player, and after it opening, we should click top navigation bar, and click on the “Media” point, which will open a little dropbox. In this dropbox we should click on the “Open Multiple Files…” tab, (or use a hotkey Ctrl+Shift+O) and wait until the menu will appear on our screen. Step 2 Go to the Convert menu. In the menu, which has appeared, click on Add button, and choose the file you need to convert. After this you should click on the arrow, which is situated near the Play button. Clicking on this arrow will open a dropbox, in which we should choose a link, called Convert, or just use a hotkeys Alt+O. Step 3 Choose the settings as you like. The path to the source of the video, type of this file, and the setting, which we need to set up. Press to configure the type of video or audio codecs, which you need exactly for the video or an audio you’re trying to convert. By the way, there are some more great functions and abilities for you to explore. Delete the profile which is chosen in the dropbox. This one is used for creating a new type of profile with managing all the audio and video codecs for the file you need to convert. Step 4 Start the VLC to MP4 conversion process. You need to choose the destination file, where all the information will be containing. In our case, we can use Browse button, come to the Desktop, write a name of the file, let it be container.mp4, and after this, web should click on the Start button, and the process of the conversion will begin. The estimated time of the converting depends on the power of your PC, and the type of the codec you are using to convert. Considering VLC video files are in various formats, you need a powerful video converter for your help. Wondershare UniConverter (originally Wondershare Video Converter Ultimate) ( Wondershare UniConverter for Mac (originally Wondershare Video Converter Ultimate for Mac) ) is able to support a broad range of audio & video formats, even DVD files. In a flash, this great VLC to MP4 converter can make you enjoy all of your VLC videos on your MP4 media player with the best viewing effect. The operation is too damn easy, and the process is extremely fast. Just follow the guide below. Step 1 Import VLC files to the VLC to MP4 video converter for conversion. Navigate to the folder that contains your local VLC video files. And then select the files you want, next, simply drag them to this app's pane. Or you can click the button on the main interface to browse your computer and import the VLC files to this program for video conversion. Note: Go to Preference > Location tab, you can change the saved folder for the converted files. 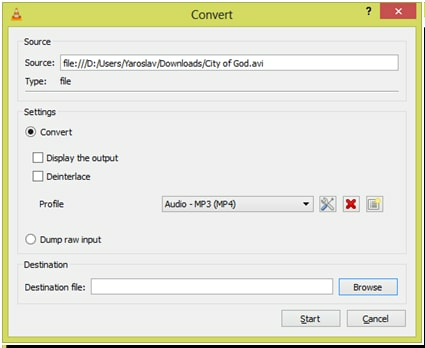 Step 2 Choose MP4 as the output format. 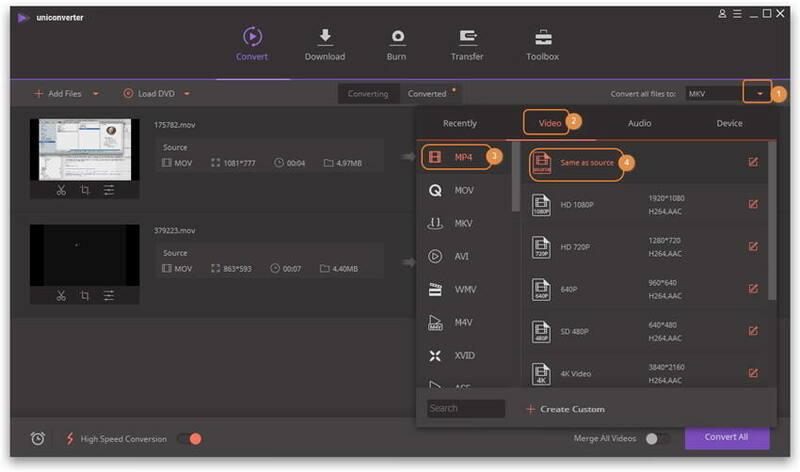 You can open the format list of this app by clicking the drop-down icon of Convert all files to:, and then select MP4 under the Video tab, and then select the detailed preset with resolution, encoder information. Step 3 Convert VLC to MP4. The last step is to press the Convert All button at the bottom-right corner of this program's main interface. Now, this app will start converting VLC video files to MP4 files. And the video conversion will be completed in a minute. When it's done, just go to the Converted tab, right-click on the converted video and select the Open File Loaction option from the drop down list to find the converted MP4 files for uses. Note: If you want to play the output files on some device, one extra step is to transfer the VLC files to the device via a USB cable.